Embattled radio host Anthony Cumia has launched his podcast show and subscribers can now hear the opinionated host any time they want. Cumia will do 4 shows a week live from 4:00 PM to 6:00 PM. Better yet... it is no longer just radio. That's right, the Anthony Cumia show is recorded in HD for your listening AND viewing pleasure. Cumia was fired from SiriusXM just prior to July 4th for a series of Tweets he sent on his personal time involving a confrontation with a woman in Times Square. The Tweets were said to have racial and violent undertones. 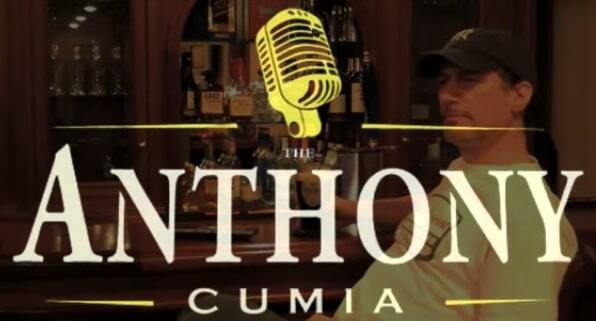 Cumia was the "Anthony" in the Opie & Anthony show. Opie remains on the air at SiriusXM with other longtime show host Jim Norton. The contract for the Opie & Anthony Show expires in October, and as yet there has been no news about what will ultimately happen. While some fans would certainly like to see a reunion of Opie, Anthony, and Jim, it would simply be speculation at this stage. Personally I think that Cumia will stand alone for a while. 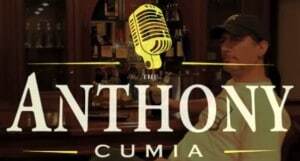 The Anthony Cumia Show can be accessed by visiting AnthonyCumia.com. The show is subscription based and costs just $6.95 per month, $32.95 for 6 months, or $59.95 for a year. It is estimated that Cumia made million at SiriusXM. The move to his own show and platform is interesting in that very few people are able to make meaningful money from podcasting. For perspective, it would take almost 12,000 monthly subscribers for a year to bring in just $1 million. Certainly a talent like Anthony Cumia can attract an audience, but the big pay-days will be much harder now. That being said, a lot of what Cumia does is because he is passionate and is not driven by dollars. Have you seen or heard the show? Let your thoughts be known! Good. Take all 10 listeners with you. The show is great. On demand whenever you want it. I canceled my Sirius app and signed on to the Anthony show. Sirius has driven satellite radio to a new low. Paaaa-haps a little bit more dan dat Rorison. This will have zero bearing on sub numbers. Next? I always love it when I read that non-subscribers have cancelled their SiriusXM subscription. I have re-upped my sirius/xm subscription. For $54 I got all access for 6 months – enjoying the NFL games on my iphone app, and listening to various status in my car and at home. For $12 more than what Anthony is charging for a 2 hour 4 times a week show – I think I will keep sirius/xm.